My Spring Day treats / Gee Whiskers! My mom is very sweet - she always spoils my sister and I throughout the year. 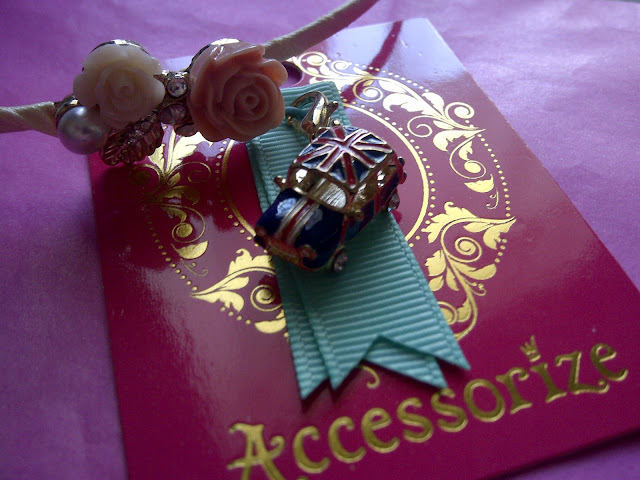 For Spring day she bought me an Alice band adorned with roses and shiny stones as well as a charm of a Mini. I was walking around an Accessorize store the other day and noticed that in general their pricing is a lot better than what I remember from a few years ago. You can pick up some really beautiful pieces of jewellery for under R100. Follow Accessorize on Twitter and Facebook.